Over the past few years evidence has mounted that Facebook and other social networking sites feelings of loneliness, among other things, of their users. 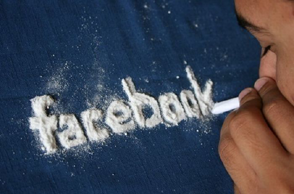 The problem has become pronounced enough for one psychologist, Michael Fenichel, to propose the idea of FAD – Facebook Addiction Syndrome. I’m sure if you’re a heavy user of any kind of social network none of this will be particularly surprising. You’ve probably felt a little jealous when you see a friend posting about how fun and exciting their night is while you’re staring at your Facebook feed waiting for something, anything, to happen, or maybe you’ve felt that little bit of shame when someone you’re interested in seems to be posting on everyone’s wall except yours. What’s interesting though is that we usually believe how our friends represent their lives on these sites; even if logic tells us it may not all be true. A recent study showed that people have a natural inclination to perceive their peers as being happier than they are which is exacerbated by sites like Myspace, Facebook and Twitter, as they give users the ability to create a cyber-representation of their own life. We know these representations may not be truly accurate, but unfortunately, due to the aforementioned habit, we tend to believe these representations, apart from particularly egregious cases. Not only this, but another study showed that people who use social networks a lot are actually more trusting of others than people who aren’t users. This in-turn leads to poorer self-esteem, or at least, that’s what yet another study concluded. This particular study stated that, on average, the more a person logs into Facebook, and the more time they spend on the site, the higher the chances are that they will be narcissistic and have a low self-esteem. The relation here is quite easy to see. All we see on Facebook is people standing atop peaks, but we rarely see them trudging through the valleys, but we believe it and then feel down because we feel like our social lives just aren’t up to scratch. It’s worth noting, though, that feelings of loneliness and low self-esteem are usually only felt by those who use social networks quite extensively. However, Michael Fenichel, the same psychologist who proposed FAD, thinks that the problem will become more and more prominent as the pervasion of social media in our lives grows with technology. He and many others note that the time will come when social media will be a 24/7 part of our lives – something we can already see happening with practically all social networking sites being accessible via mobile technology – and at that point there will be no middle ground; either don’t use social networks, or you use them extensively. Dent has similar sentiments, writing in her book ‘Saving Our Adolescents’, she writes: “anecdotal evidence suggests that older adolescents are moving away from the Internet, especially social networking sites, in favour of real human connection and experiences. Many are cancelling their Facebook pages and are choosing to meet face-to-face to hang out together. This is a sign that shows the final growth of the pre-frontal lobes is happening, and the shallow virtual world does not meet the needs of real human relationships.” Note how people are terminating their accounts rather than moderating their use – it seems it really is all or nothing on the social media front. It’s not all bad though. A few studies indicated that Facebook users feel more socially supported than those who don’t, and also that Facebook users on average have, or at least feel they have, more close-relationships than do non-users. Another study showed that Facebook have positive social effects on users because it allows them to stay in touch with people they would have otherwise lost contact with. The problem with these studies, though, is that many of them were conducted years ago when Facebook was in its infancy and still exclusively used by university students, and also the studies that show Facebook has positive effects are usually conducted on smaller, more concentrated groups of people (though, to be fair, some of the studies that showed negative effects on users were conducted with relatively small groups of people as well).